London is one of the most popular travel destinations in Europe, it’s charm and beauty, architecture and great attractions, the duality of traditional Anglo-Saxon values and multiculturalism attracts a huge number of visitors to the city every year. Do not miss the opportunity to see this amazing city now that Orbitz offers flights to London on sale from only $250. There are plenty of things to see in London from the Buckingham Palace and Westminster Abbey to the London Eye the Millenium Bridge and so many other things. It is just something you have to see at least once in a lifetime. On sale flights are available from different US departure cities to London. You have to book by the Midnight August 21 so you better hurry up until the sale is gone. You can travel through December 19, 2011 and have to fly on weekdays from Monday to Wednesday. A Saturday night minimum stay is required, however, you are allowed to stay up to 12 months. 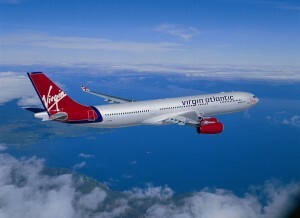 You would travel with Virgin Atlantic and on Economy Class. Below you may see some sample fares of the sale. the prices are based on one-way booking and do not contain taxes and fees. Hurry up, the deal ends in two days. Book before the sale is over and get away to London for a late season vacation. Do not forget, th flights listed above are one way! This entry was posted on Thursday, August 18th, 2011 at 6:02 am and is filed under Airfare Deals. You can follow any responses to this entry through the RSS 2.0 feed. You can leave a response, or trackback from your own site.